Are you in need of a replacement part for your Crane humidifier? 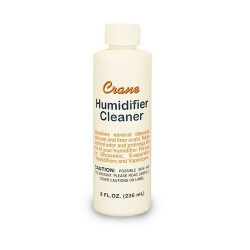 We carry OEM parts and supplies that will help your humidifier keep your indoor air healthy and safe. It is important to change the demineralization cartridge and clean your humidifier on a regular basis to make sure that it is safe and functioning properly. We also offer scented vaporizers to better cater to your unique humidifying needs. Popular products are: CraneHS-1933 , CraneHS-1932 .